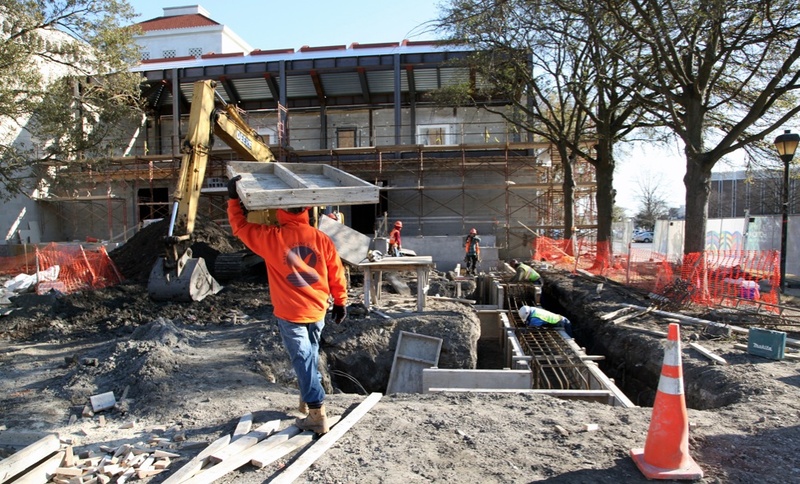 Construction is underway at the Chrysler Museum of Art, set for an April 2014 reopening. While the Chrysler Museum is on schedule to reopen in April 2014, after a major renovation and reconfiguration of its main building, its glass studio next door remains very much open for business. 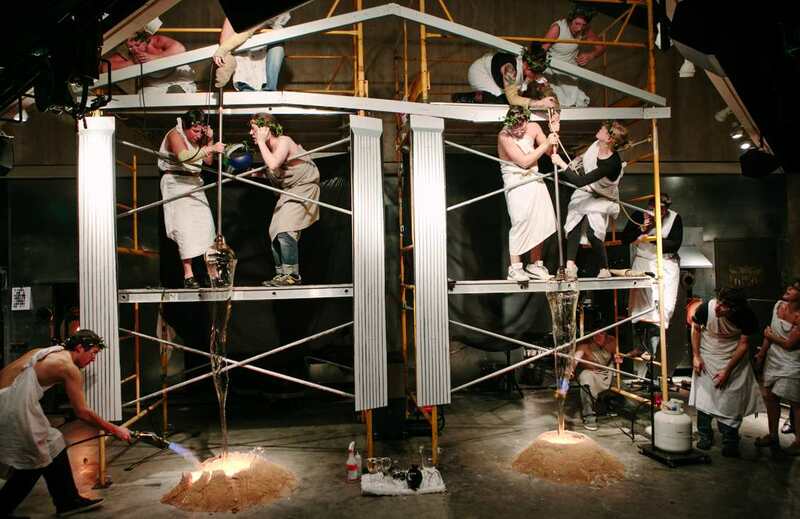 In fact, it has only intensified its work to expand the definition of glass art through performance art, collaborations with theater and musical troupes, and a general embrace of new approaches to the material. 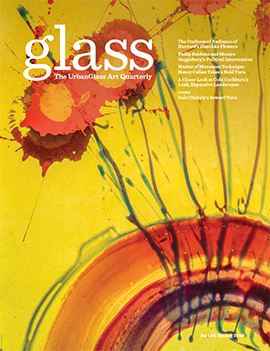 The GLASS Quarterly Hot Sheet recently spoke with Chrysler Museum of Art director of education and public programs Anne Corso and glass studio manager Charlotte Potter on what’s on tap for the glass studio this fall and winter, as its mothership remains closed for a major overhaul. GLASS: How is the renovation going so far? Anne Corso: Very well. We’re exactly on schedule and are all looking forward to our April 12th grand opening for the entire museum. We will have 10,000 square feet of new space, improved climate conditions, better-laid-out galleries and amenities for visitors, and an entirely new interpretive program for all ou collections. One point of interest is our focus on the glass collection, which has always been one of the museum’s strengths, and what prompted the studio itself to be built. Now that it has operated as a studio for 2 years, we are able to find new ways to integrate what the studio is doing into the museum. GLASS: How will what goes on in the studio be incorporated into the new museum building? Charlotte Potter: There will be a live feed from the studio to the main museum building. And in the glass galleries, there will be a new orientation space that Anne will talk about, but it’s about acquainting people with materiality, how glass is used in different industries as well as domestic life, and interpretive layers, much like we try to do in the studio. Corso: As the glass collection is reinstalled, there will be mostly a historic thread, from the ancient collection to contemporary. but we want to be as visitor centric as possible, and get people familiar with this very unique medium and its properties. When we talk about process, aspects and pieces made in the studio and in the collection, people can compare processes. And this will also allow for a participation aspect. When we have school tours come into the studio, or birthday parties, or camp tours, children are encouraged to draw a two-dimensional work of art, hand it to the studio team, and they will create it in glass. We’re opening that aspect up to all visitors, family and children can come in to the main museum, and find a ways to develop their visual skills, tapping into their creativity. Potter: what makes our program different from some other design programs like this is that kids will go around and draw from our collection, our program is historically based, kind of like a game of telephone where we make their interpretation of an object. GLASS: What will some of this new square footage in the main museum be used to add new offerings in the glass realm? Corso: The collection will be laid out in a chronological way that highlights some of the best pieces from those periods, what we’re calling “masterworks.” In addition, for people who are enthusiasts of glass, we have a study gallery, an intense installation of objects grouped together based on form — less interpretive in a traditional sense, but allowing people to compare forms and subtleties to his large glass collection. For example, an area dedicated to goblets or vases. Potter: There will also be an orientation space, which will talk about all the different glass processes, using objects we make in the studio — casting, fusing, blowing. Then there will be a whole area dedicated to glass in your everyday life, from iPhone to windshield, to a carafe. That’s been really fun, and there has been great communication between education, curatorial, and the studio to develop all this information. The live feed is going to be in the orientation center as well. GLASS: Would you say the glass collection is the strongest at the museum? Corso: It’s overstating it to say it’s the most important part of our collection as we have an incredible American collection, European paining collection, but it is certainly one of several strands that will be highlighted in some way in the new space. It will absolutely look stronger than it ever was, as will the other collections. 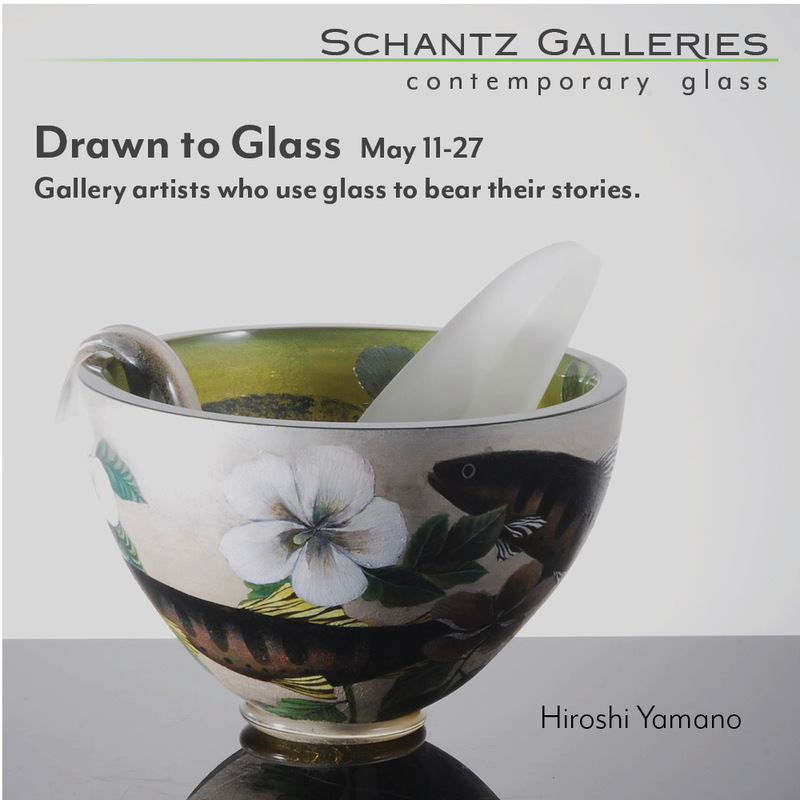 GLASS: What’s new at the glass studio, which remains open through the renovation? Potter: We have a really exciting new residency program we’ve been working collaboratively on with the Robert M. Minkoff Foundation. (Disclosure: Andrew Page, who edits the GLASS Quarterly Hot Sheet also works for the Robert Minkoff Foundation.) 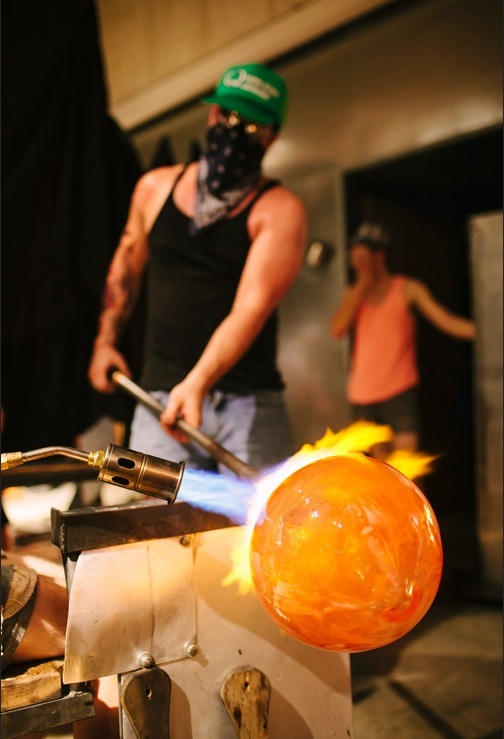 This residency, called 4Front, is about identifying, supporting, and documenting pioneering glass projects. If you look at the arc of our programing, we are catching people early in their career with the studio assistantship program, and later in their career with our visiting artist program. We are looking to really capture that artist who might have gotten his or her MFA and is looking to do something challenging and innovative within the field, but don’t have a ton of institutional support yet. Or, the work is so innovative, it hasn’t found a place to be realized. The chosen artist will get the support of our entire facility and staff, a lot of hands-on assistance. They’re also going to be featured in a documentary film the Minkoff Foundation is producing and will distribute. The deadline for applications is September 1st, so we’re excited about the ideas that are coming in so far.